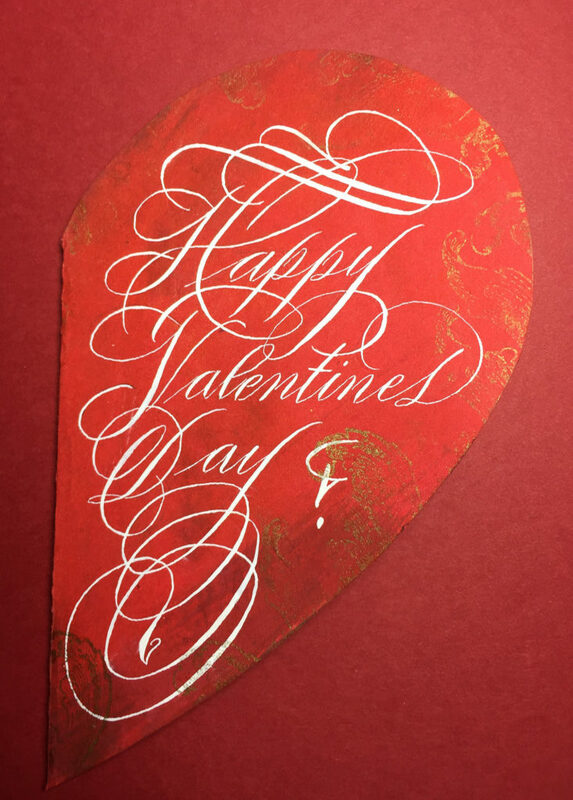 Yes, we love letters – with a flourish! Karen will guide us in the feel of the flourish. It’s basic principles, with a focus on the ornamental Script capitals. Luscious handouts. Bring smooth paper, pointed pen, ink and your light touch. Please join us Saturday Feb. 16, 2019 at the Evendale Cultural Arts Center at 10 a.m.
We’d appreciate it if you haven’t done so already, please remit your $25 dues to Karen. Dues help us function as an organization and go toward payment of meeting facility, gratuity to teachers, supplies and take -home handouts provided at each meeting and discounts on purchases and also availability of our library.